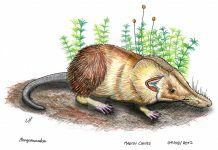 When most people think of the mammals of the Mesozoic Era, they think of animals which look kind of like rodents and were small, cute and furry. 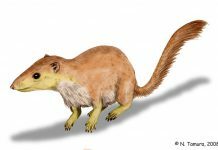 However, while most of the mammals that lived during this span of almost 200 million years were small and rodent-like, there were exceptions to the rule and Repenomamus was one such exception. Repenomamus was 3 feet long and weighed around 25 pounds. Which made it about the length of the modern-day armadillo but about the weight of a small dog. 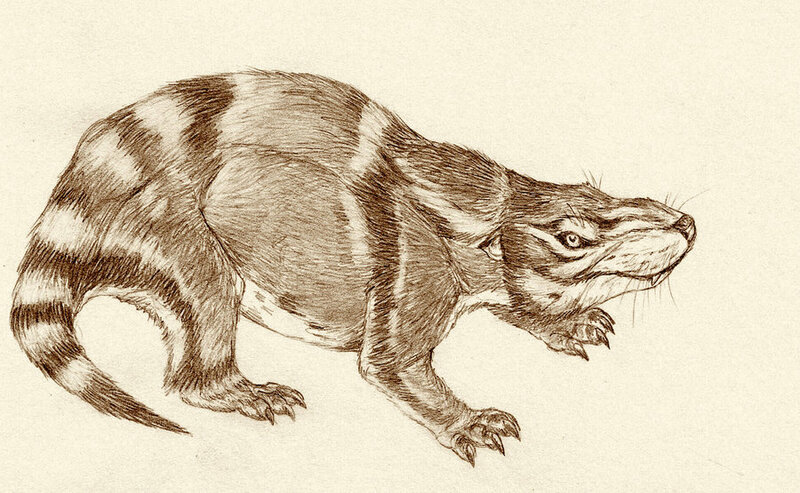 This mammal also had short legs that kept it low to the ground and had a mouthful of sharp teeth that it used to tear its prey apart. Which isn’t surprising because it was a pretty fierce predator, as most Repenomamus pictures on the Internet today show. In fact, it is known to have feasted on some of the small dinosaurs that lived around this time. 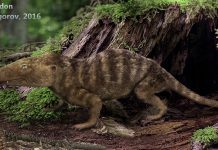 Paleontologists even found the fossil of a small Psittacosaurus in its belly. 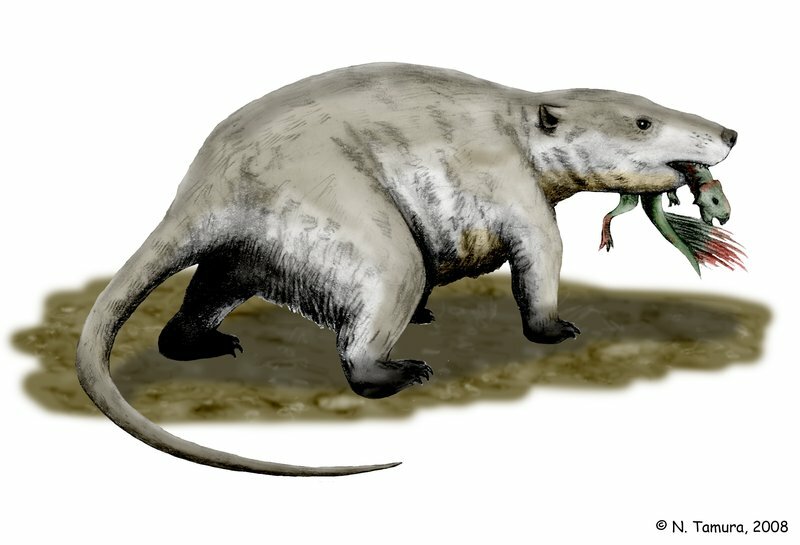 One of the most interesting facts about Repenomamus, however, is the theory of why it evolved so large while other mammals at the time stayed so small. Well, some scientists believe that other mammals couldn’t evolve any larger because they would have then been noticed and eaten by larger predators. By staying small, they could stay inconspicuous and quick. On the other hand, Repenomamus could grow larger because the part of Asia in it didn’t have any large dinosaurs living there. 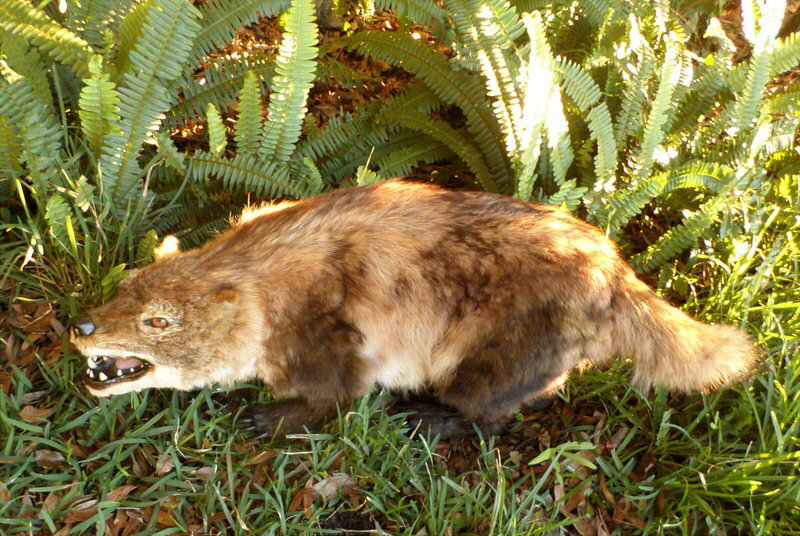 This allowed this mammal to feed off many of the small feathered dinosaurs that did live around this time.